Music in the Park has donated £430 to Thame Youth Café to buy a Nintendo Switch gaming console, a game and two additional controllers. 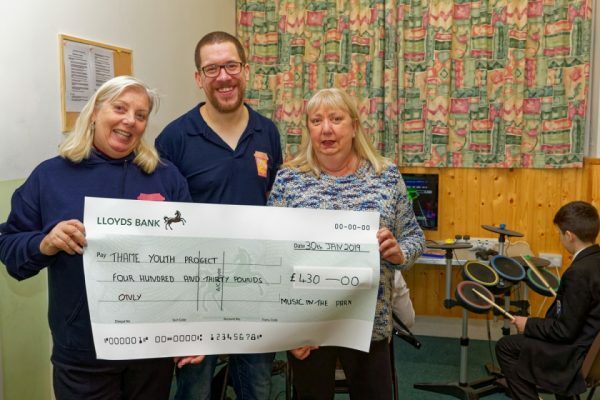 The success of Thame Youth Café, which has an average of attendance of 55 young people and regularly attracts 70, meant that it was in need of the additional equipment to enable more of its visitors to enjoy themselves. The Thame Youth Café (https://thameyouthcafe.org.uk) is in Christchurch Methodist Church on Thame Upper High Street. Unlike traditional youth clubs, the Youth Café concept is not solely about entertaining young people but rather to provide a safe place for them to gather and, through leisure activities, bring about transformation by promoting values and personal development to enable them to reach their full potential, both as individuals and within the community. There are different activities each week from cooking and mindfulness drawing to a graffiti wall and science experiments. It runs two Youth Cafés: one for 11-14s and one for 14-16s.